Their name in Gaelic is ‘Madra Rua’. 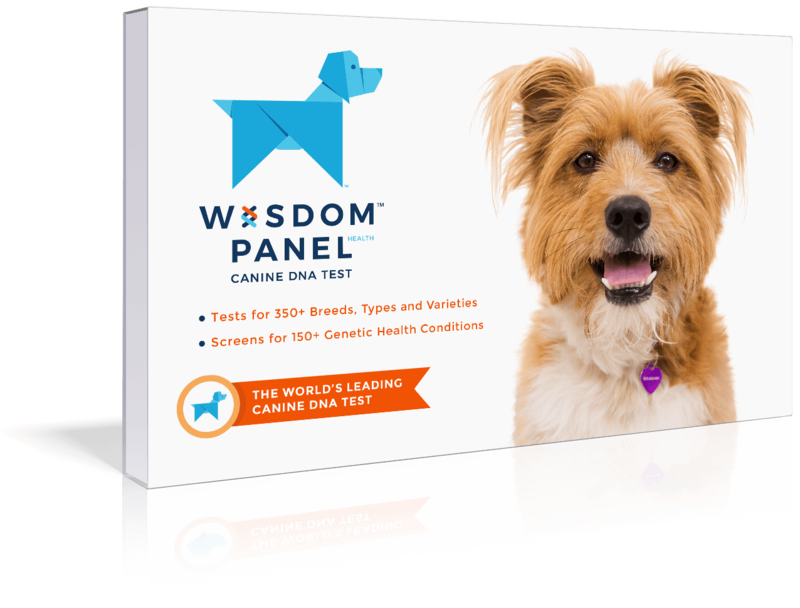 Happy, playful, energetic, and usually friendly dogs. 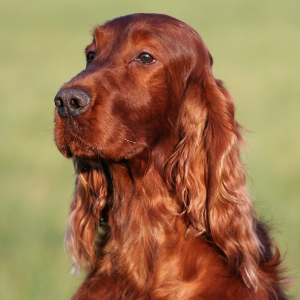 Irish Setters enjoy dog sports such as field trials, hunting, agility, tracking, and competitive obedience. Reputation for being less intelligent may be undeserved as it may result simply from use of non-motivational training techniques. 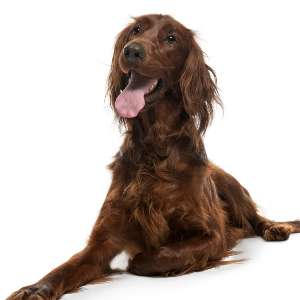 You can probably guess where the Irish Setter is originally from. 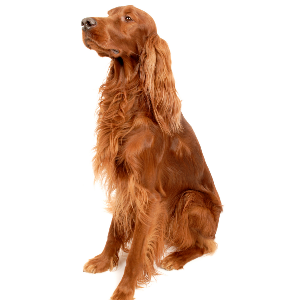 Their name in Gaelic is ‘Madra Rua’ which means ‘red dog’. Arriving on the scene in 18th century, they’re believed to be a mix of the Old Spanish Pointer, setting spaniels and early Scottish setters. 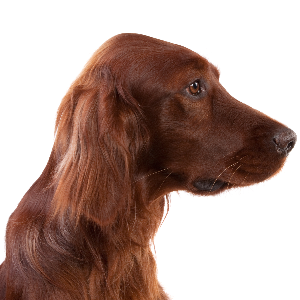 Early versions were largely white with red blotches on their coats, much like the modern Irish Red and White Setter. 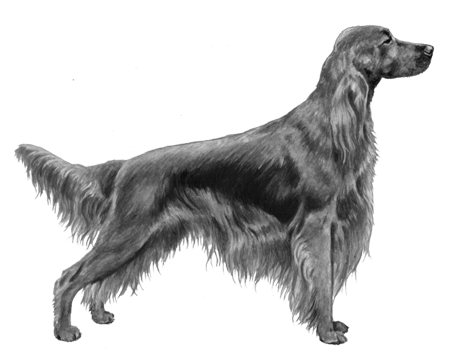 The Earl of Enniskellen is credited with breeding in their rich, red coat in the early 1800s. They were first brought to the United States in the early 19th century, by immigrants from Ireland. Back then, many of those same immigrants were in search of a better life. Coincidentally, by introducing these companionable dogs to America, they’ve made a lot of other people’s lives better too.